A Chicago neighborhood was named the hottest neighborhood in the nation in a new report Thursday. 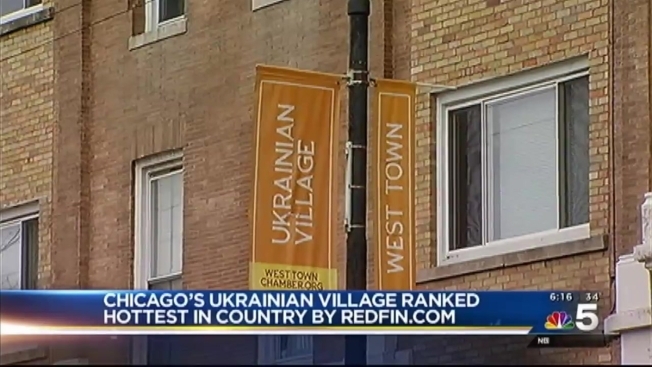 Redfin, a real state brokerage, released its annual list of hottest neighborhoods across the country for 2016, and the Chicago’s Ukrainian Village took the no. 1 spot on the list. The report analyzed the most recent growth in page views and favorites to Redfin.com along with insights from real estate agents specializing in neighborhoods across 31 major U.S. metros. Ukrainian Village had a median sale price of $472,000 with the median number of days homes are on the market listed at 22. The Northwest Side Chicago neighborhood was followed by the Eastwood neighborhood in Nashville, the Ericsson neighborhood in Minneapolis, the Hyde Park neighborhood in Austin and the Mount Pleasant neighborhood in Washington, D.C. The report said the 2016 list features neighborhoods with access to public transit, affordable homes and charm. Affordability was the top concern for buyers, according to the ranking, and those hunting for homes are searching for neighborhoods that are affordable but also offer stores, coffee shops and short rides to downtown. Other hot neighborhoods in the Chicago area were the West Loop and East Village, according to Redfin.